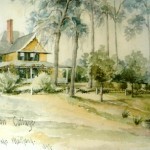 18 years for Maitland B&B – WOW! 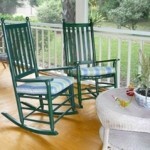 Come sit on our porch! In two weeks, Thurston House will mark another milestone – 18 years providing wonderful accommodations to guests from all around the world. So far we have enjoyed guests from 21 countries, every state and even 3 territories! 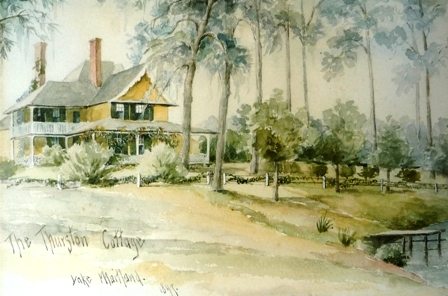 It has been a wonderful place for us to live, and we hope that we have many more years here at Thurston House in beautiful Maitland, Central Florida. We have seen our guests, marry, divorce, die, move away, move back, visit family, celebrate life events, stay for business, retire, etc. It has been very interesting to be a part of their lives. Some guests have been staying with us for over 10 years now! We are blessed. We have seen Thurston House start out as an empty and unloved house, to be completely renovated becoming the “Gem of Maitland”. Even the guest rooms started out one way, but have been fine tuned much during that time. Rooms have different size beds now, and colors have changed – green to gold, pink to ruby red and yellow to tan. We have evolved too, starting with phone reservations and brochures to now offering online reservations and printable brochure on our website. You can even find us on Twitter, FaceBook and Trip Advisor too! Keep tuned for Fall & Winter Specials! Thurston House Times – Winter begins! Yes, today is the first day of Winter in Central Florida. No, there is no snow here, but temperatures have been in the chilly range. The sky is crystal clear though! 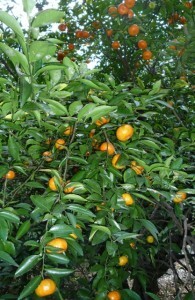 This is the weather we need for our oranges & tangerines to become ripe, and for the camellia’s to really start popping open. 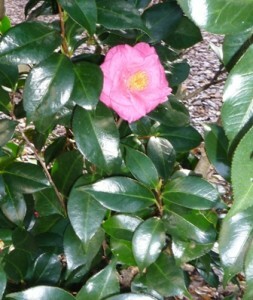 A few camellia’s have opened so far, but by the end of the week they’ll be beautiful all over the yard! 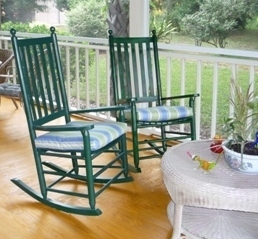 Come step away from your busy times and relax here at Thurston House bed & breakfast. Rooms are still open through the end of the year…book now! Thurston House Times – Another gift idea! Doesn’t your special someone deserve a unique gift? How about a manatee? That’s right, the Save the Manatee Club based here in Maitland offers an adoption program. The recipient will receive adoption papers, a photo and other information about this wonderful creature. What fun to give and receive! Come to Thurston House bed & breakfast when it is cold out and head a short distance to Blue Springs Park. There they count hundreds of manatees coming in to the warm waters. Thurston House Times – Gift Idea! What to do, what to get…. Always a big challenge this time of year. 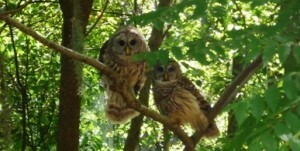 How about a very unique gift from Maitland’s own Audubon of Florida Center for the Birds of Prey? You can chose what type of bird to adopt, from eagles to owls. There is a photo and information sent about the adopted bird, as well as an official certificate. When in town they can even visit “their” bird! 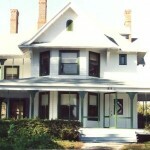 The center is right around the corner from Thurston House bed & breakfast. This is a perfect gift solution for anyone who really doesn’t need anything, but would appreciate this donation to a good cause. Think about it! Thurston House Times – Special Things! At the holidays it is always special to come upon something that you have long time wonderful memories of. I am fortunate to have a few Christmas ornaments from long ago when I was growing up on Montana Drive in Holden, MA. Christmas time was a big deal at our house and in the entire neighborhood. People all had their houses decorated inside and out. 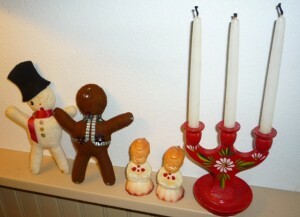 A good many of our neighbors were of Swedish decent, so we learned a lot about those traditions too. My Mom learned how to make a mean Pepperkokar, and got so hers’ were even thinner than the Swedish neighbors cookies…something every baker aspired towards. Well, those times are long past and most of the adults in the neighborhood then have since passed away. The memories and stories still linger in all of our hearts, especially as I put out my few precious items…some shown here. 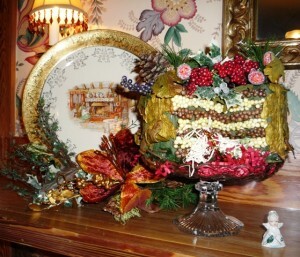 Thurston House bed & breakfast is especially wonderful this month…come see! Thurston House Times – Holidays! The holiday decorating is almost done here at Thurston House. Come stay and get into the spirit of the holidays. There is lots going on in this area the next few weeks. It starts with Tiffany in the Park celebration this Thursday in Winter Park, then Maitland’s Season of Light this Saturday, then on and on…. 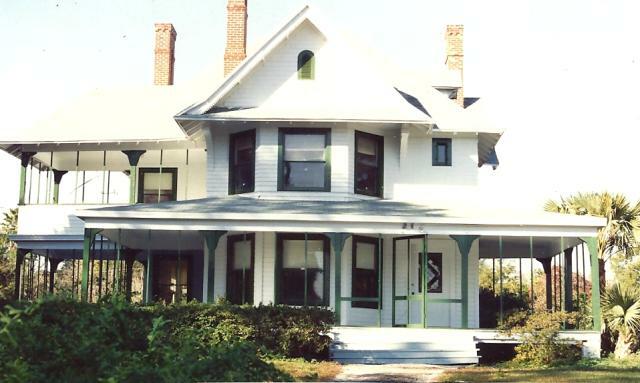 Start it all with a reservation at Thurston House bed & breakfast in Maitland!